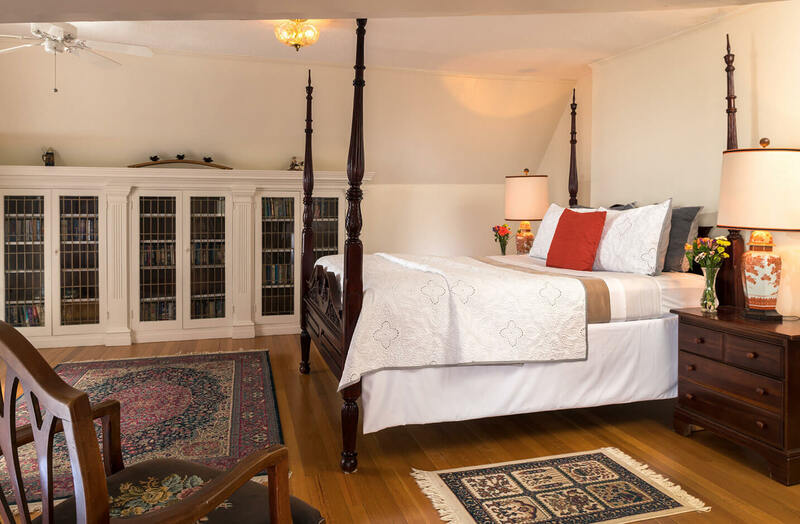 Boasting the best view of the valley and Seneca Lake from its private deck on the third floor of the mansion, Room 10 is a lovely room at our bed and breakfast in the Finger Lakes. 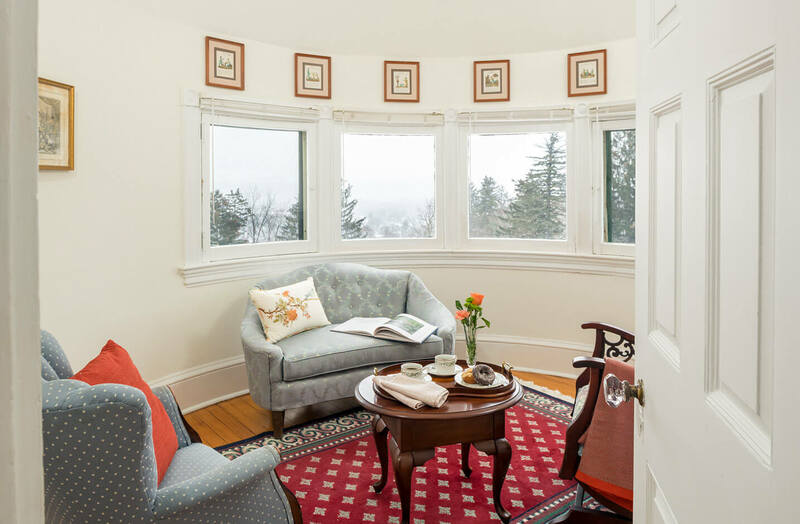 The room features a beautiful turret sitting room with a wonderful panoramic view. 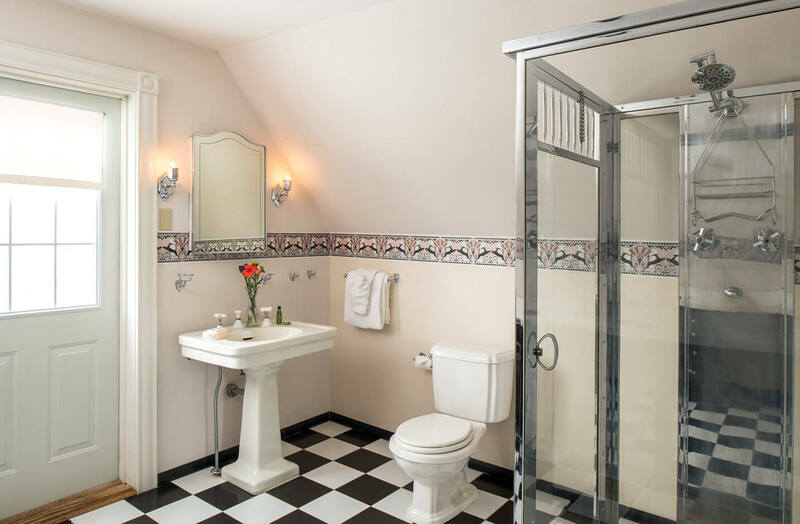 The large, private art deco bathroom adds a nostalgic touch to the suite with a double vanity, and extensive enclosed lead bookcases. 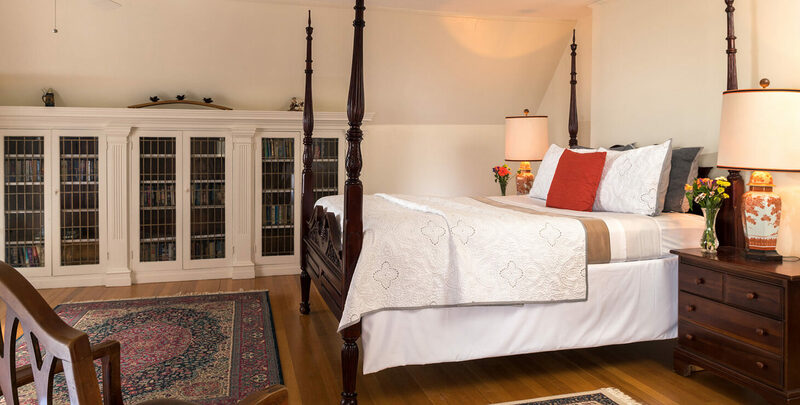 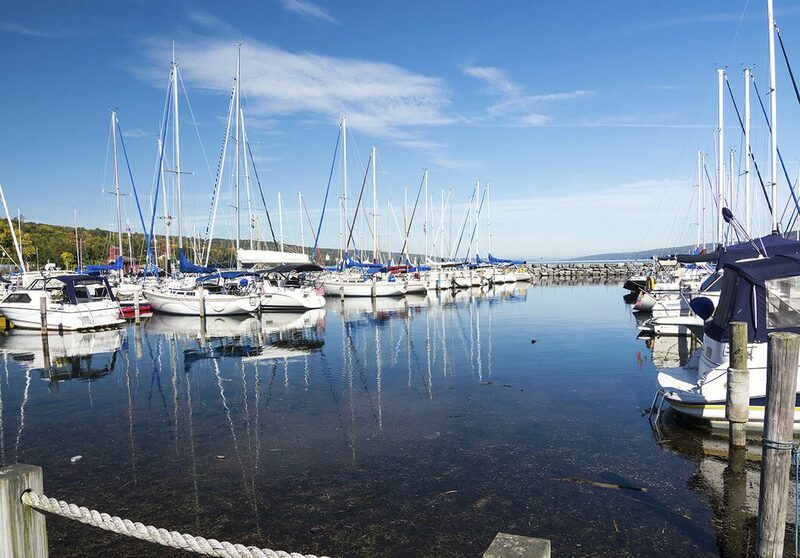 Includes high-speed Wi-Fi, concierge services, and breakfast daily.